A weekly podcast that correlates with the new Come Follow Me manual of the Church of Jesus Christ of Latter-day Saints. I bet we will laugh a lot and cry a little and learn a lot and grow so much as we dive into the New Testament this year. I think Heavenly Father just whispered to all of us, "Come follow my Son this year. It's going to be so great!" And then he handed us this gift. Let's not take Come Follow Me for granted. Let's get out of it all that we can. I don't know a lot about much, but I do know that I love my Heavenly Father, Jesus Christ, and the scriptures so much and hope that I can pass a little of that love on to you. It really is the best feeling in the world. This episode correlates with the week of January 14-20 in the Come Follow Me manual. "We Have Come to Worship Him." In this podcast, I ramble on about all the great things that have happened this last week and talk more in-depth about the Christmas story and nativity from Luke 2 and Matthew 2. I talk about all the different people who took part in that miraculous event and share a little tidbit I learned about swaddling clothes. I reference a talk by Marvin J. Ashton. I discuss different ways that people feel the spirit and then talk about how to help protect our families. I also make fun of my brother for not being able to exaggerate and throw my aunts under the bus for leaving me at the airport when I was 5. 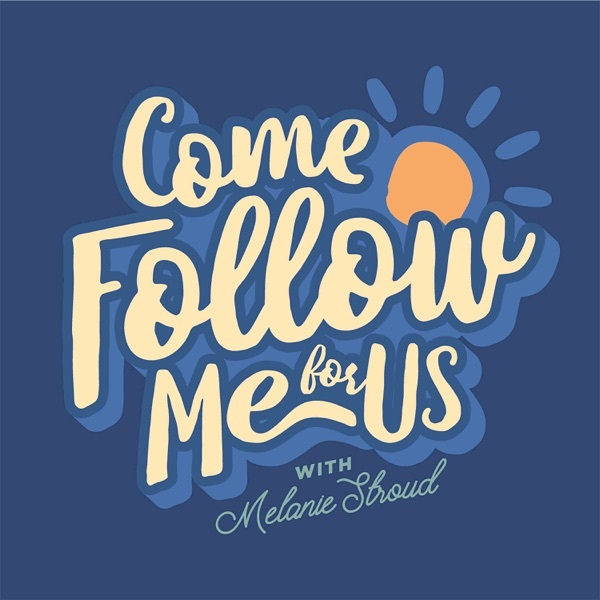 This is the first episode of Come Follow Me for Us by Melanie Wellman. These podcasts will correlate with the lessons in the Come Follow Me, New Testament 2019 manual of the Church of Jesus Christ of Latter-day Saints. Disclaimer * I am no expert. This is not an official podcast from The Church of Jesus Christ of Latter-day Saints. I'm just a girl who really loves the scriptures, my Heavenly Father and Jesus Christ. When this new program was announced, we were all high fives and cheers. (Mainly because church dropped down to 2 hours!) But now that it's time to start this new program, many of us are all still not sure what we are doing. I thought I'd give my thoughts every Monday morning so that we all would have some things to think about during the week and maybe my thoughts might help you, in some way, incorporate this new program into your life. Isn't it awesome that the Lord trusts us enough to hand this teaching over to us? It's like Christ is telling us, "You've got this! You have what it takes to teach your family, friends and yourself how to come unto Me and become more deeply converted to my gospel." Therefore, we need to be worthy of this trust by figuring out a way to really use Come Follow Me to do just that - bring us closer to Christ. This episode talks about how we are responsible for our own learning. We are taught to examine what we are seeking for and what we want to get out of this year. I discuss Matthew 19 about the rich man who asks what he lacks and how that parable applies to our lives. I talk about humility and how sometimes it's really hard to ask the Lord what we lack and then be humble enough to see it and then desire to change. I discuss the scriptures in Matthew 6 about forgiveness and talk more about how important it is to learn to truly forgive. I quote two talks by Jeffrey R Holland "Be Ye Therefore Perfect Eventually" and "The Ministry of Reconciliation"
I quoted a Christian author I love named Chrystal Evans Hurst's book She's Still There, Rescuing the Girl Inside You. She talks about our obligation to act upon the things we learn in the scriptures. DO what we learn. It's a great read. She's very inspiring. In that section of the podcast, I talk about the importance of not just hearing the word of God - but really trying to incorporate His word into our lives. I also talk about whining in the MTC, a dead deer in a stream, having the devil in me before church, fighting Satan UFC style and how to bribe your kids to read scriptures with candy and back scratches. I hope it helps someone. It helped me to record it. *This is not an official publication from the Church of Jesus Christ of Latter-day Saints.